Mediastinct at DMEXCO 2016 Cologne - Meet us there! 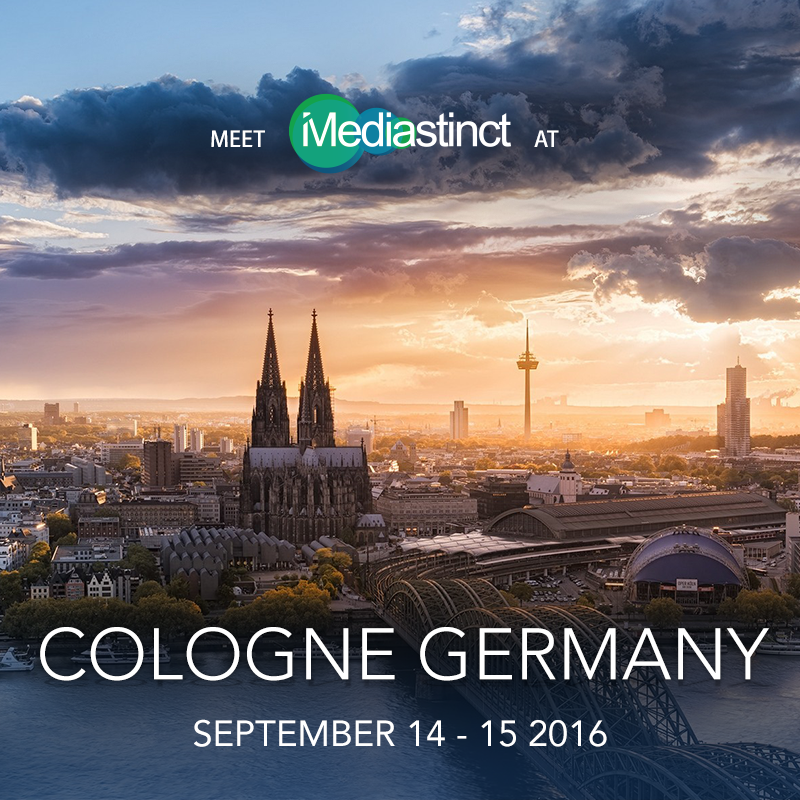 Mediastinct™ at DMEXCO 2016 Cologne – Meet us there! Online ad exchange Mediastinct™ to attend DMEXCO 2016 in Germany. This year has been a great roller-coaster ride with the acquisition of content marketplace dotWriter.com and we’re happy to announce that Mediastinct™ will be attending the DMEXCO 2016 conference, which takes place in Cologne, Germany from September 14 to September 15, 2016. DMEXCO 2016 is one of the leading exhibition and conference platforms for the digital industry and is ‘the’ hotspot for innovation and development of the digital advertising sphere. Focusing on the current concerns of the Digital Age, the show is attended by leading startups, companies and individuals associated with the global digital marketing and media industry from all around the world and we are happy to be a part of it this year. A few notable speakers at this year’s conference that we are looking forward to include Jack Dorsey – CEO of Twitter, Meredith Kopit Levien – EVP & CRO of New York Times, Susan Smith Ellis – SVP & CMO of Getty Images, Chris Cox – CPO of Facebook, Dana Anderson – CMO at Mondelez and Sir Martin Sorrell – CEO, WPP. “Digital is everything, not everything is digital” is the slogan of this year‘s DMEXCO and of course we can’t miss it! Team Mediastinct™’s Network Operations Manager, Ashwin Subramaniam will be attending the conference this year, so if you’re looking to partner up, or want to know more about our digital marketing and advertising solutions, please reach out to Ashwin at ashwin@mediastinct.com and meet him at the event.